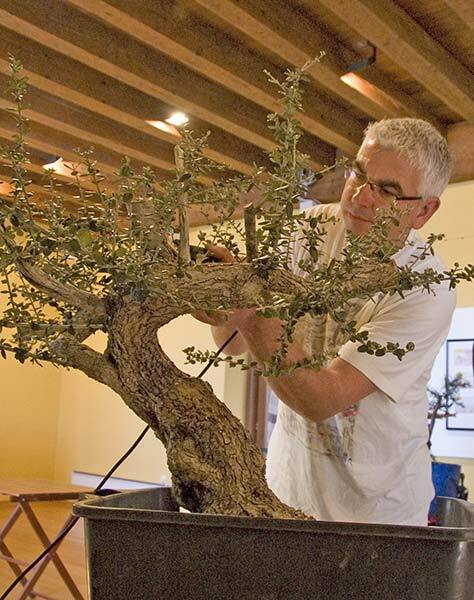 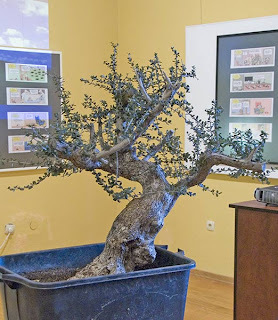 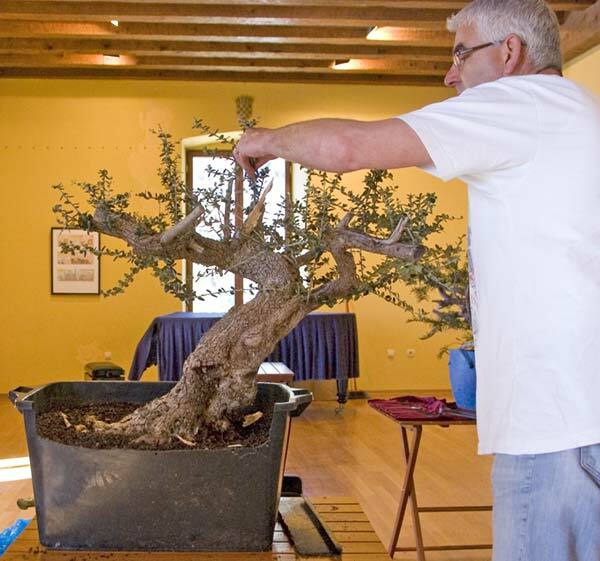 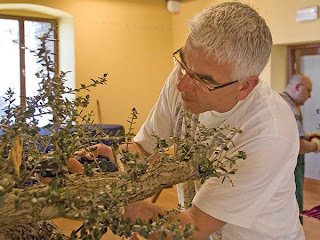 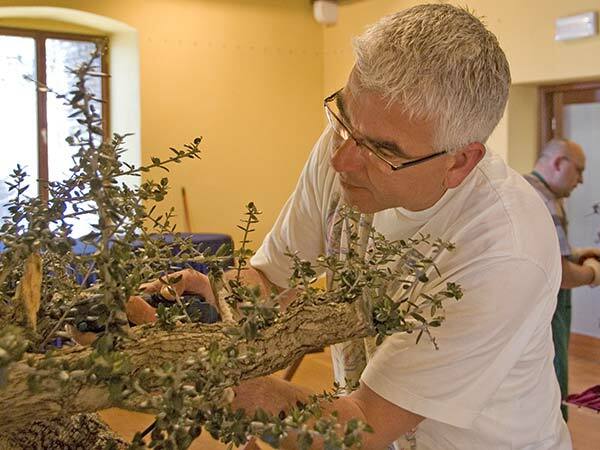 This is a wild olive, Olea europea, which was collected by Denis Firic in Croatia a year ago. 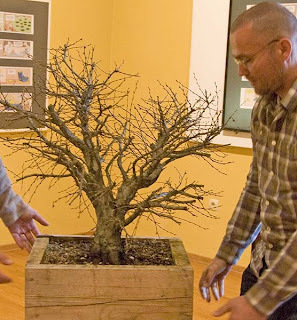 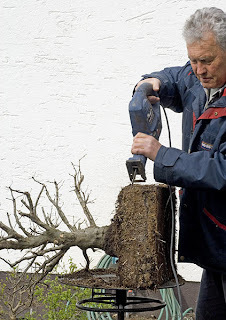 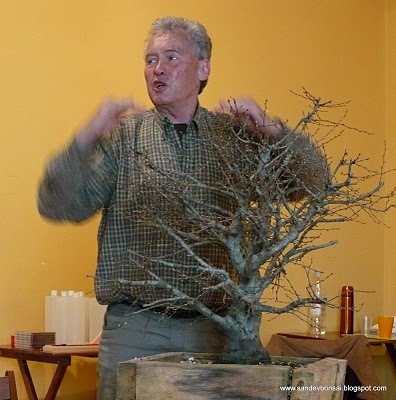 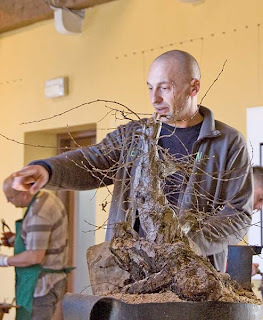 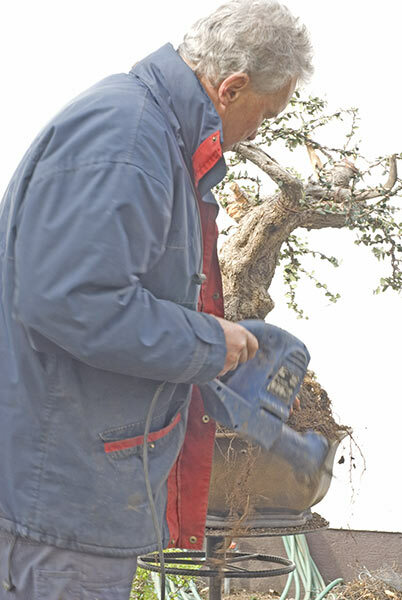 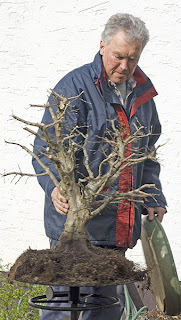 He brought it to the tree critique and workshop in Kastel in March 2010. 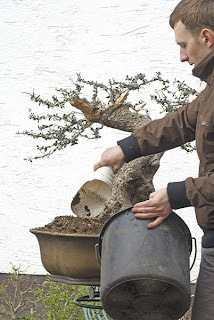 There he worked on it and finally it found it's way into my car. At home I edited it a little and repotted it with Pawel Piekarczyk from Poland. It went into a great pot by John Pitt which seemed ton have been made for it. 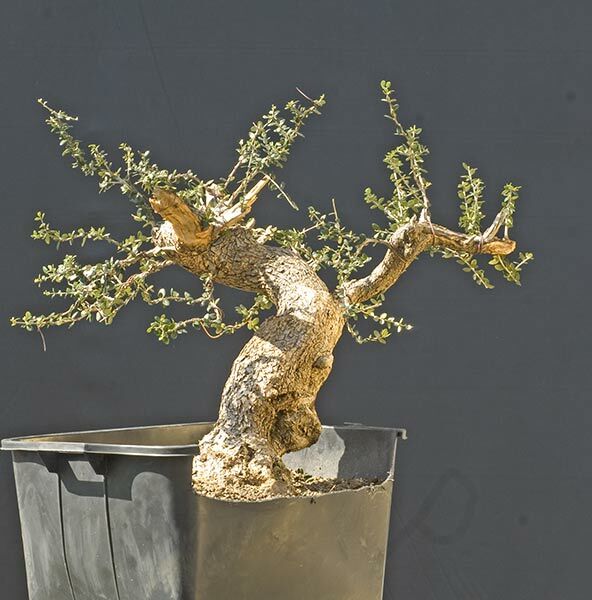 The wild variety has very small round leaves and is much better than what is usually offered. 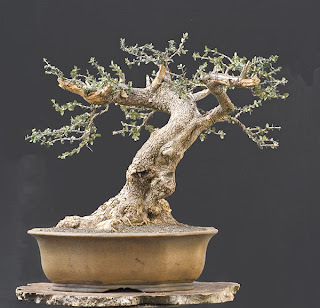 Very rarely if ever can one find a specimen piece of material like this one. I am very happy and see a great future for this tree. This is an Oriental Hornbeam, Carpinus orientalis. 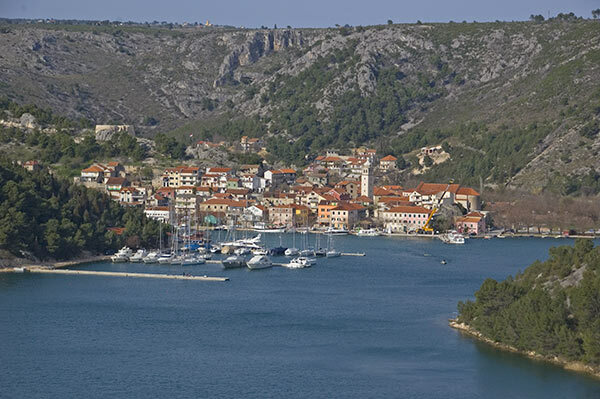 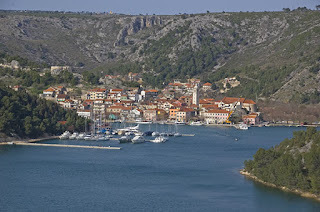 It was collected in Croatia about five years ago by Marko Kelava. 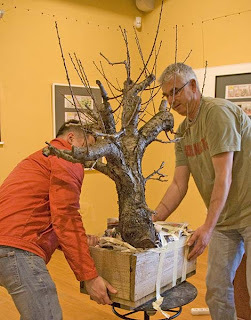 He brought it to the tree critique in Kastel in March 2010. 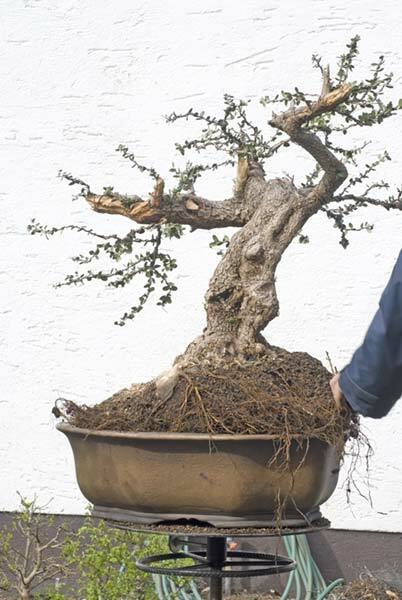 There it somehow found it's way into my car. 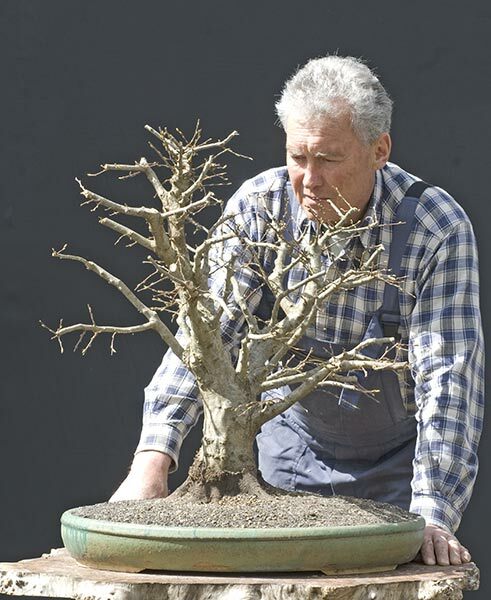 At home I immediately refined it and potted it into a Petra Tomlinson pot. 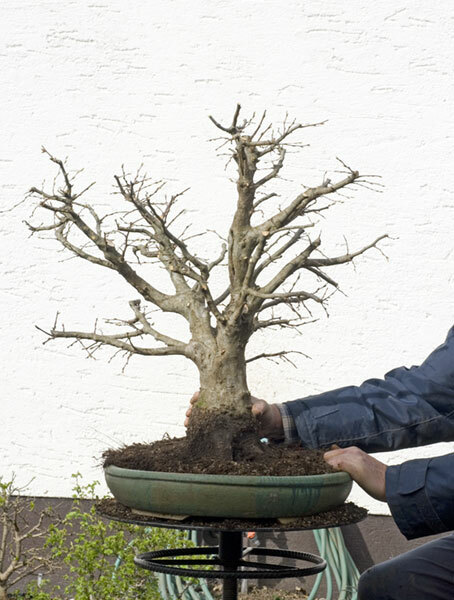 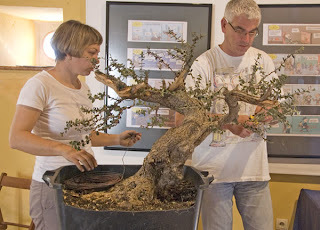 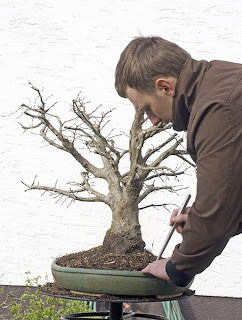 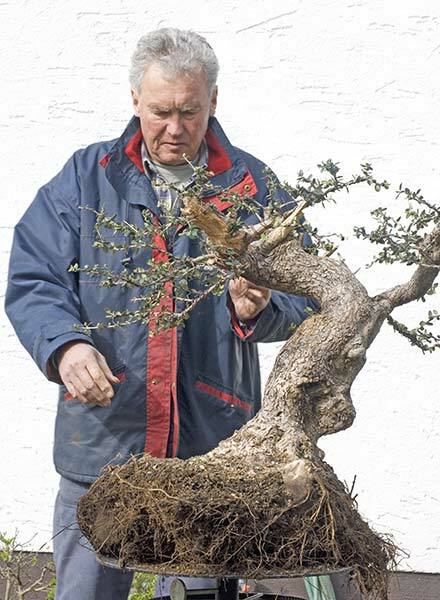 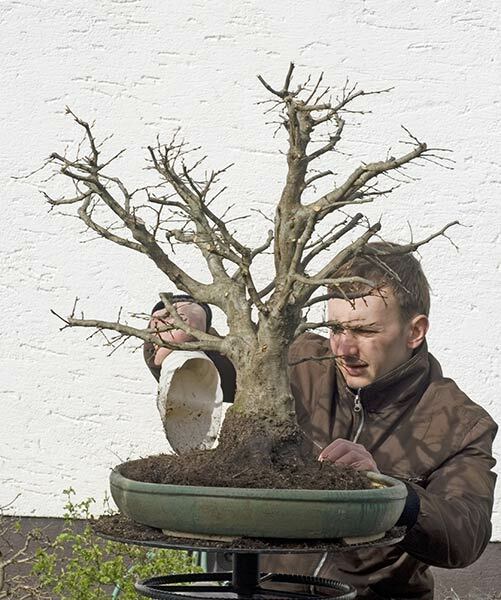 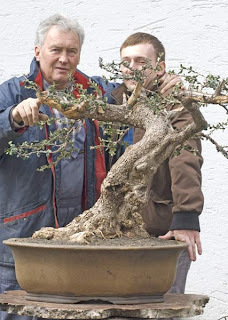 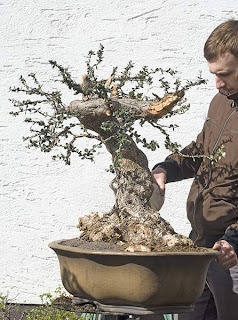 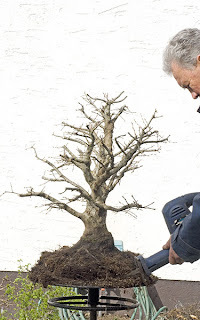 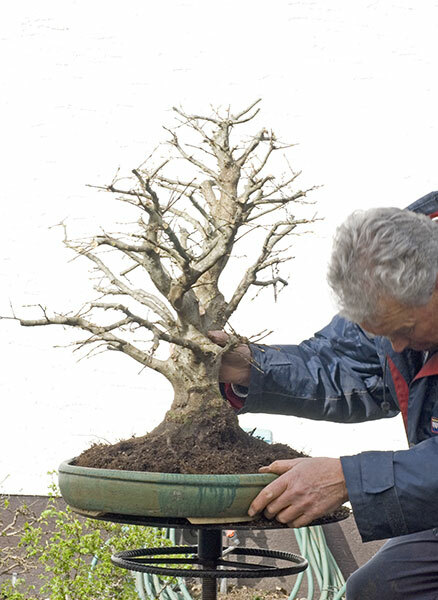 Pawel Piekarczyk from Poland helped me to repot it.This tree is very advanced and ideal for the naturalistic bonsai style. 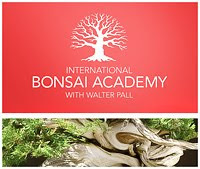 I am very happy and see a great future for it. 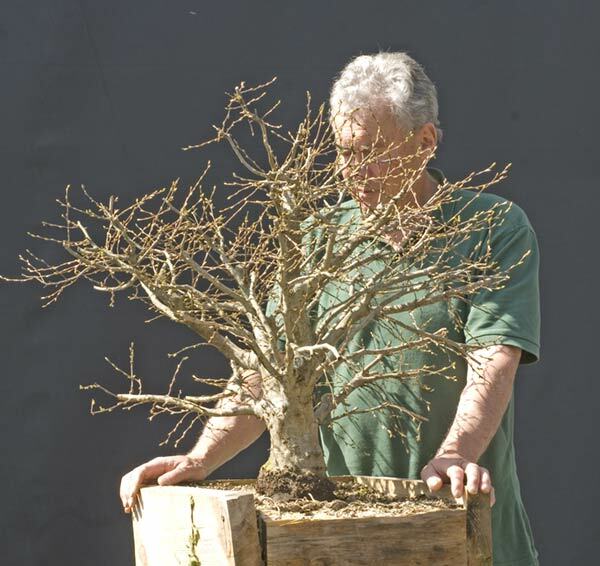 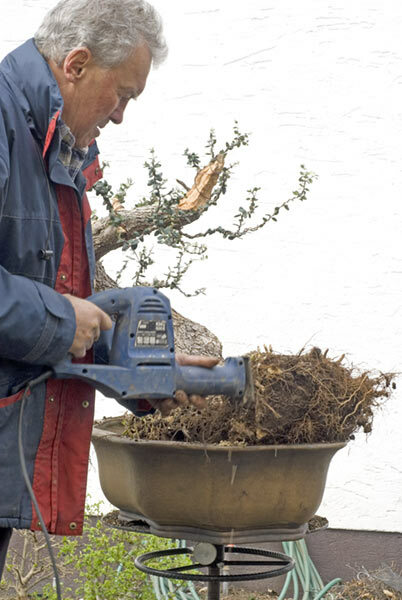 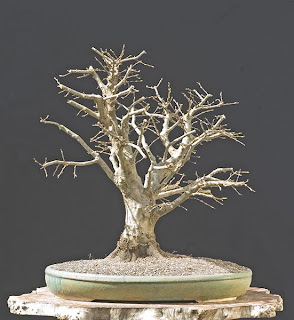 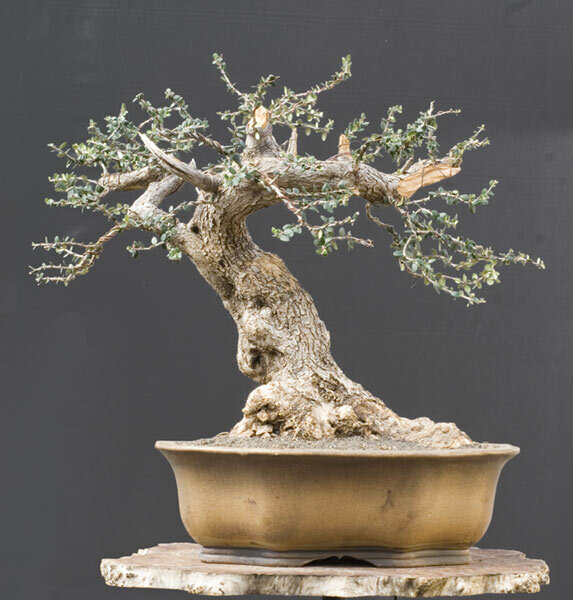 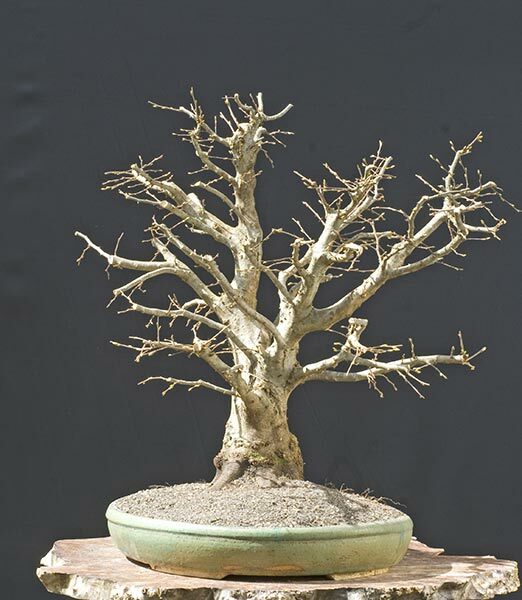 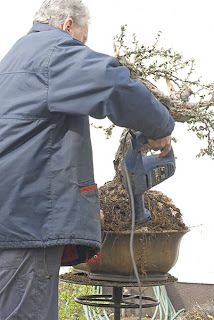 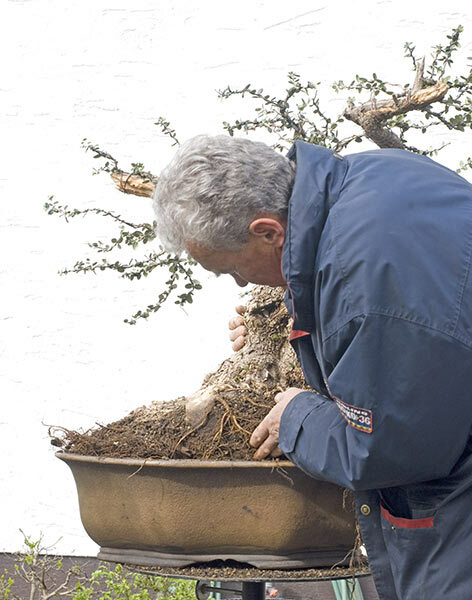 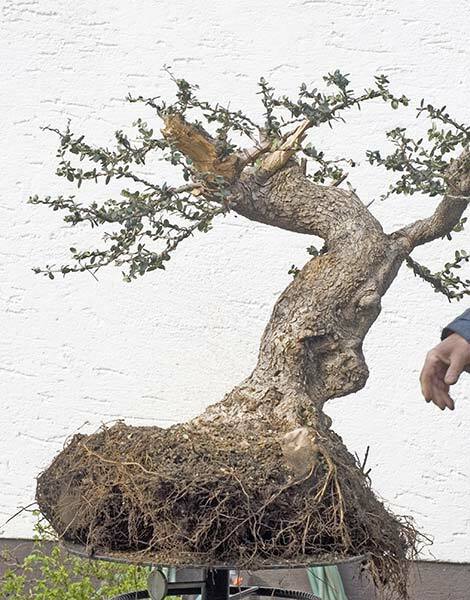 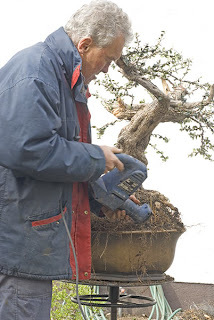 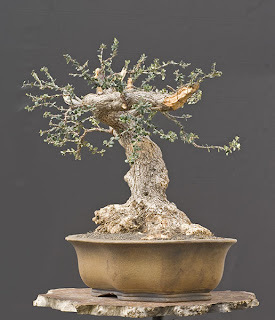 This species is one of the best for bonsai in the world. 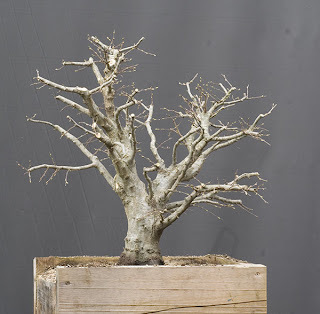 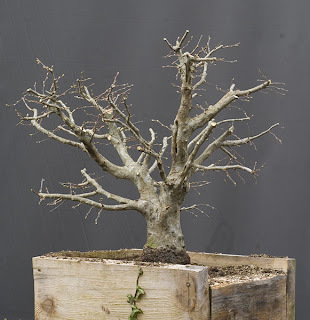 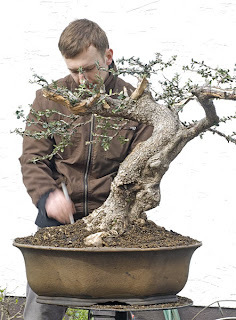 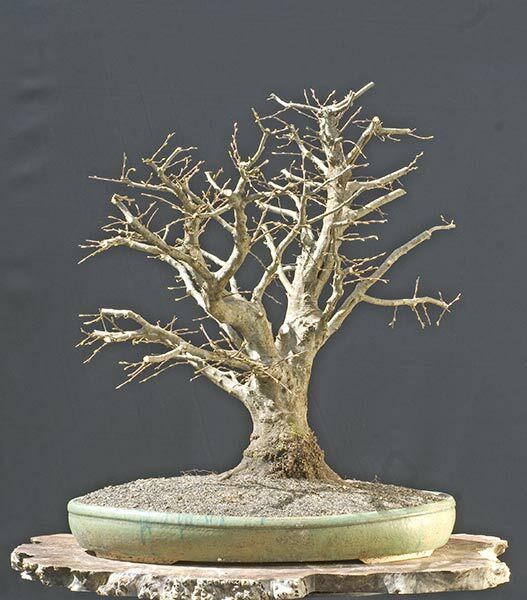 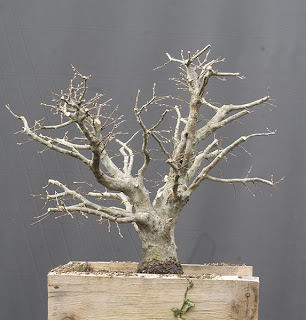 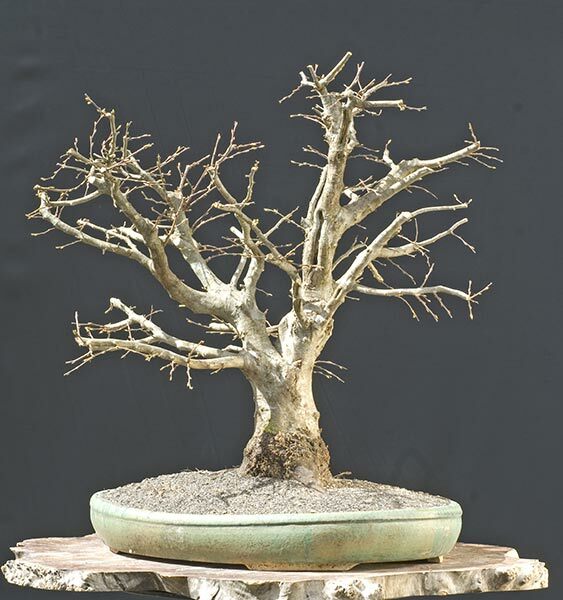 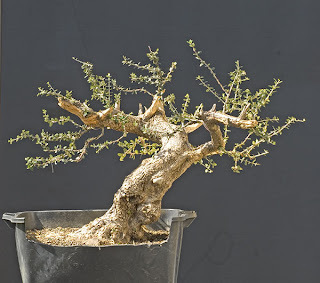 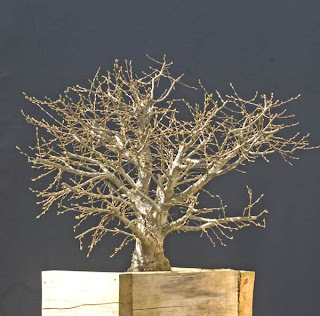 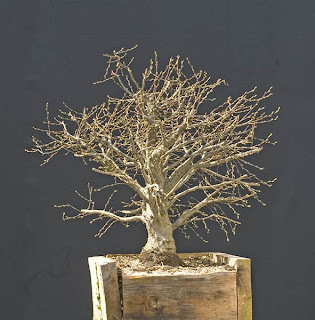 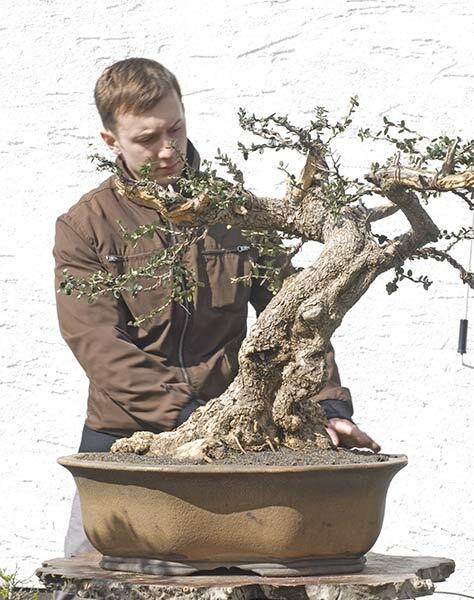 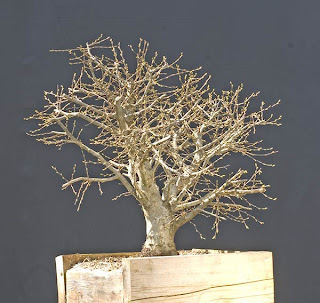 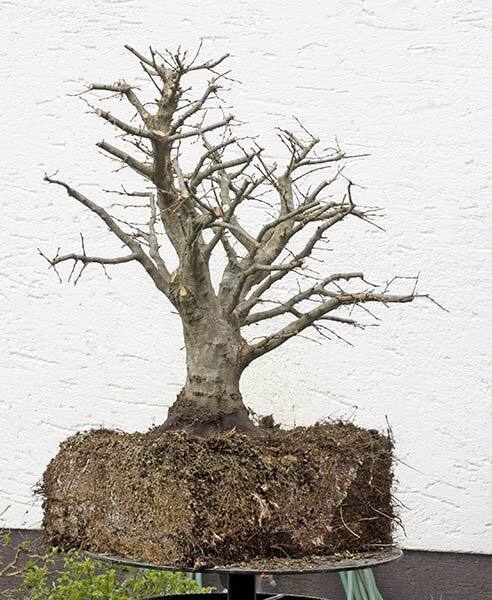 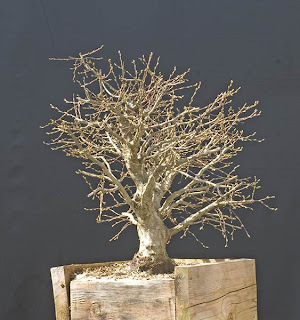 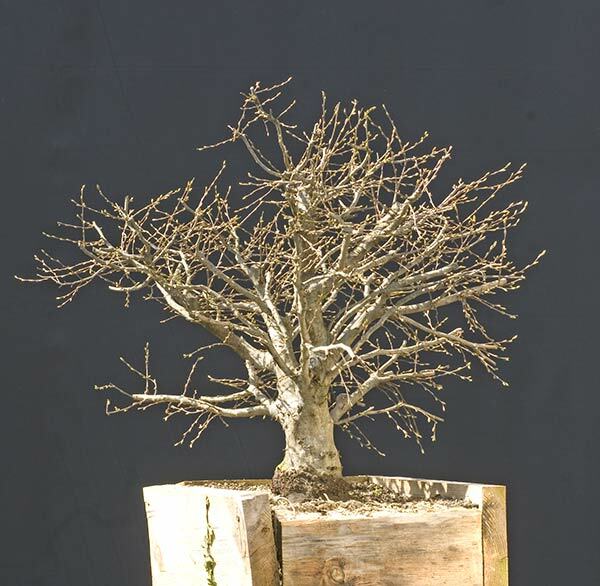 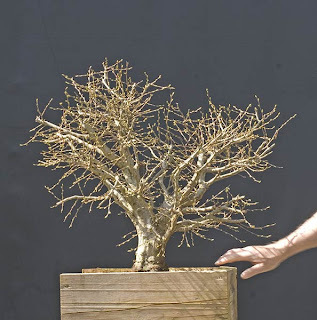 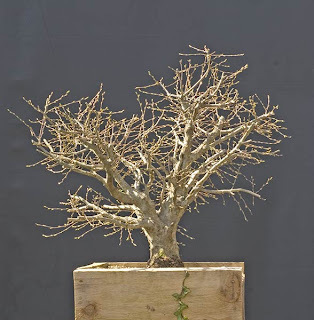 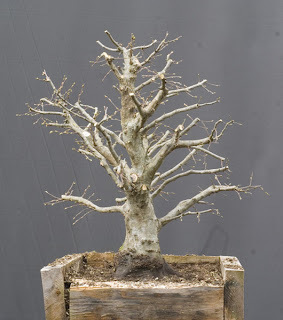 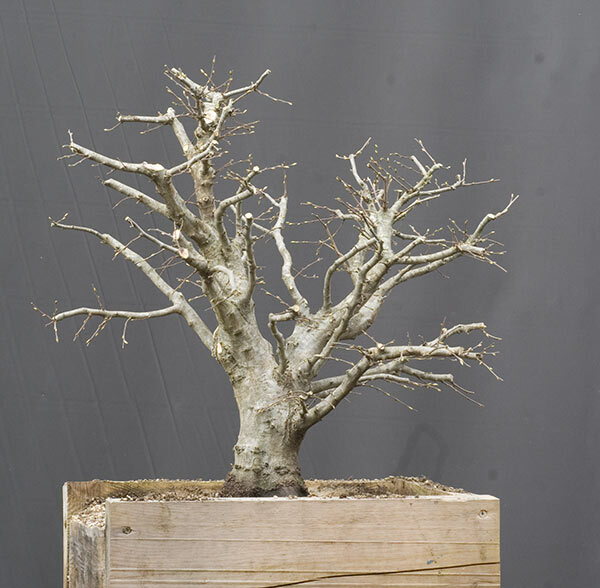 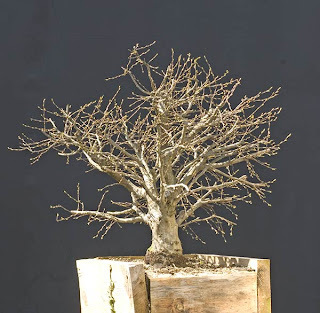 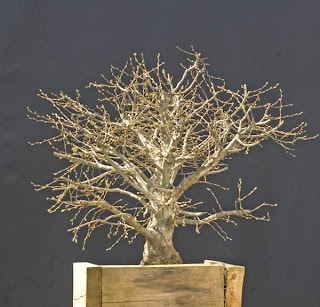 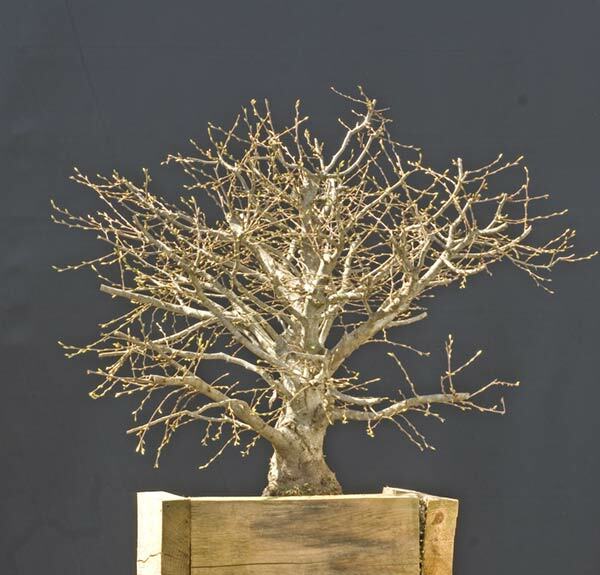 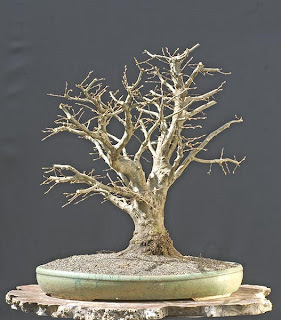 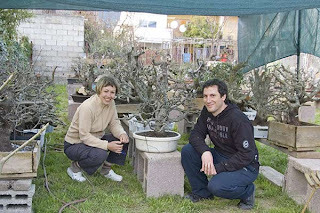 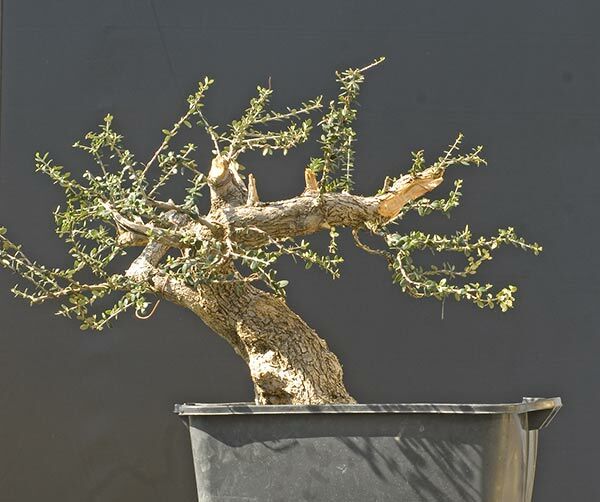 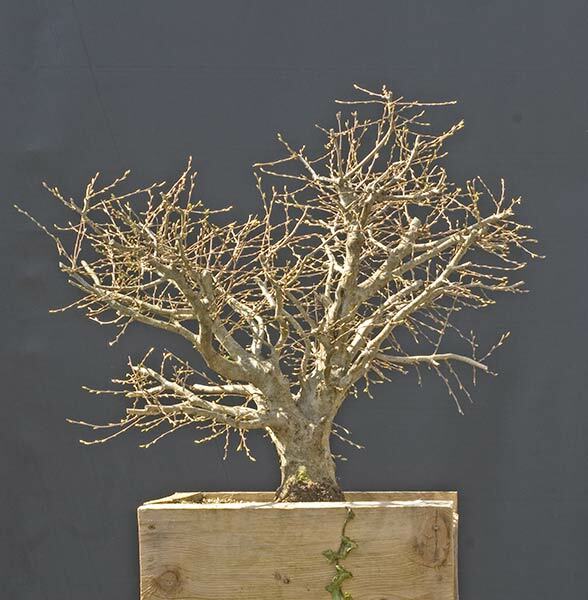 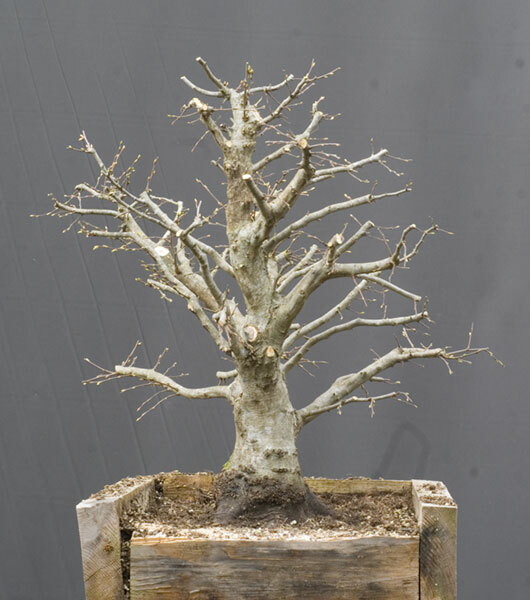 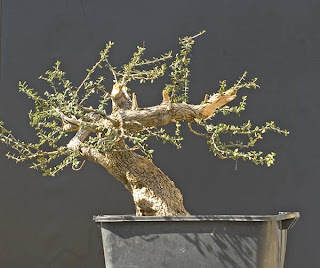 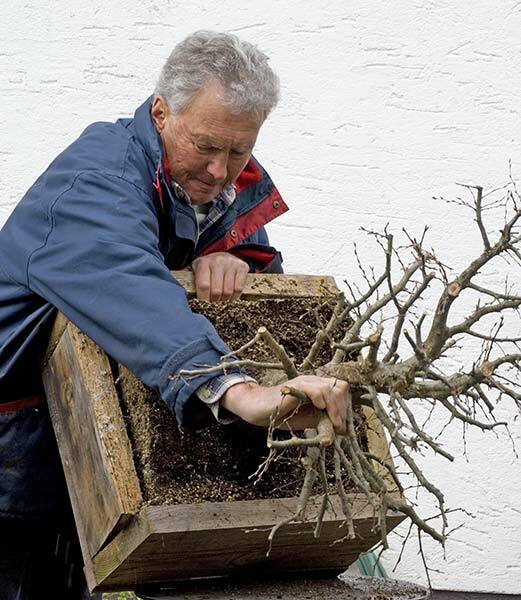 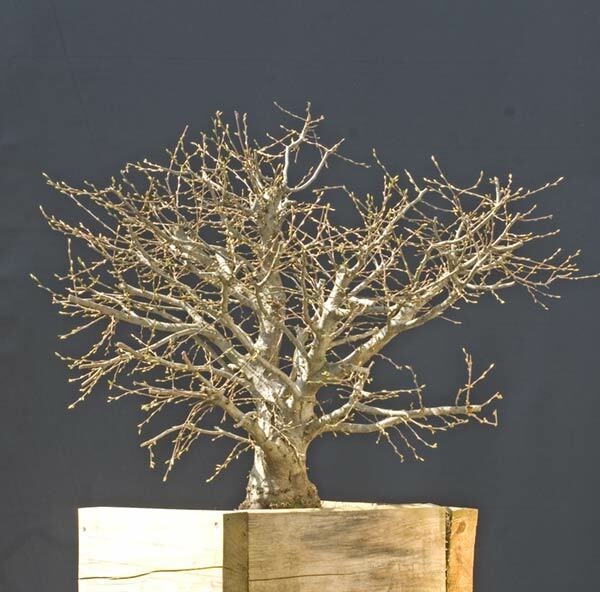 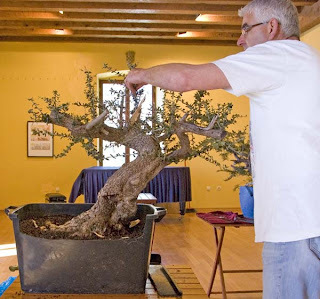 It has usually great nebari and trunk with movement and taper, interesting branch structure, very small good looking foliage, is surprisingly hardy in Central Europe, down to minus 17 Celsius are no problem, very draught resistant, very tolerant to high temperatures in summer. I am sure we will hear a lot more of this species.